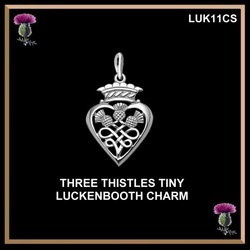 This exquisite finely detailed sterling silver small Luckenbooth design is superbly made. The design is amazing given its very small size. We can also make this design in gold, please inquire. 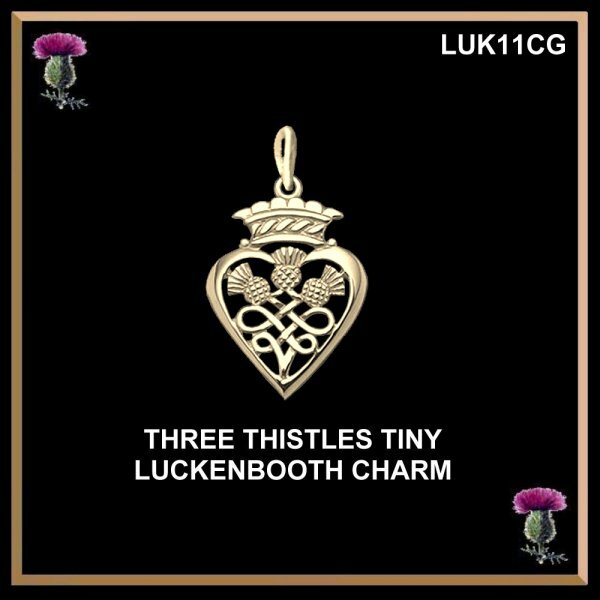 This is a gorgeous piece of Scottish jewellery that will become your family heirloom. Buy one today! This Luckenbooth measures 5/8" (16mm) from the top of the crown by 1/2" (13mm) wide. This tiny piece makes a perfect Scottish Cake Pull or Wedding favor. 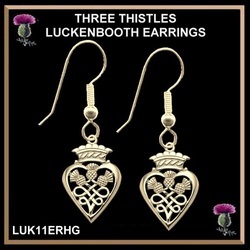 These Luckenbooth hook ear rings measures 5/8" (16mm) from the top of the crown by 1/2" (13mm) wide. 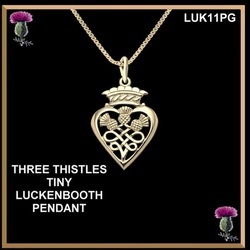 This is the larger Luckenbooth pendant that matches our tiny three thistle design. This Luckenbooth measures 1-1/4" (32mm) in length from the top of the bale by 3/4" (18mm) in width. 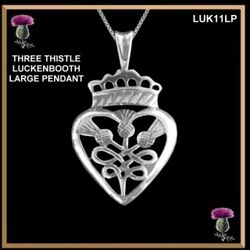 The pendant includes an 18" Italian box link chain.